QNAP furthers its innovation into the field of business servers and introduces the TDS-16489U, a powerful Double Server that integrates an application server and storage server into one chassis. The TDS-16489U is powered by dual Intel® Xeon® E5 processors with RAM expandable to 1TB and with a server-grade hardware design that optimizes mission-critical tasks and boasts unrivaled performance for Big Data computing. 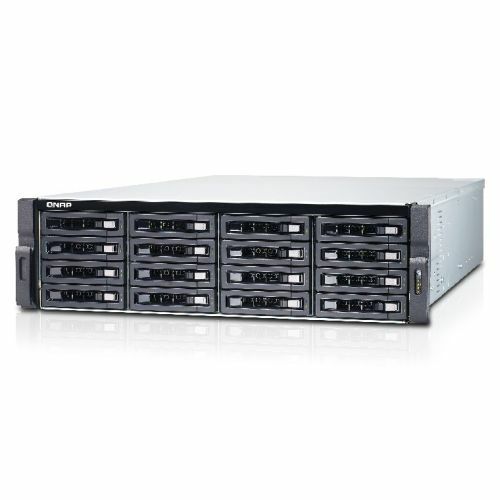 Coupled with Auto Tiering support, 12Gb/s SAS drives and 40GbE readiness, the TDS-16489U performs as an efficient, scalable and unrivaled unified and tiered storage solution for businesses to fulfill cross-platform file sharing, backups, iSCSI & virtualization applications, and everyday practical business needs.